Home » [Misc] » Bodybuilding Competitions & Events » Does anybody know any details about the Branch Warren and Johnnie Jackson seminars ? Does anybody know any details about the Branch Warren and Johnnie Jackson seminars ? I heard that these two gents are touring through UK gyms this week and are in London gyms on Tuesday. Does anybody know any details ? 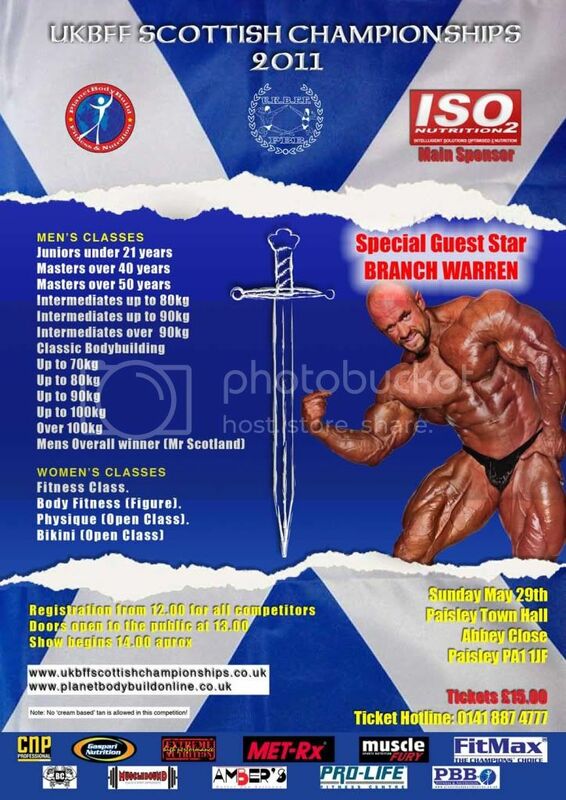 BRANCH WARREN will appear at this years UKBFF Scottish Championships on Sunday May 29th. He will be doing several seminars in Scotland between the dates May 27th and May 30th. Dates and venues are to be confirmed. email mail@planetbodybuild.com for future updates. Tickets for the UKBFF SCOTTISH CHAMPIONSHIPS are now available through Planet Bodybuild.